Straight from the pages of the fan-favorite comic, "The Dark Knight Returns", it's the Clown Prince of Crime! 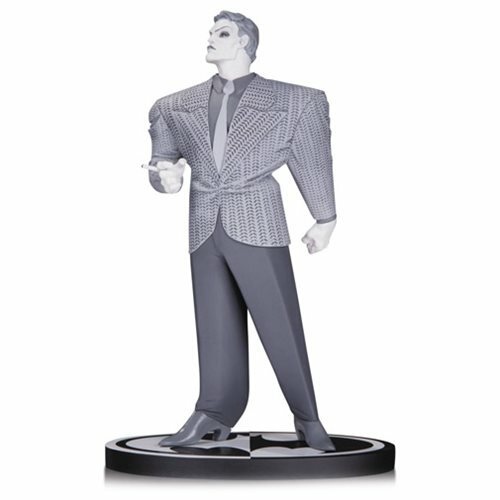 This Batman Black and White Joker By Frank Miller Statue features the iconic villain with a cigarette in his hand. This awesome piece stands over 7-inches tall and is limited to only 5200 pieces worldwide! Ages 13 and up.